Vans began as a one-man show in 1966, when its founder would make customized shoes from any fabric or material a customer wanted. Modern day Vans shoppers can still customize their shoes or shop the optimized website, which features attribute-based web recommendations and effortlessly cool content on social channels, boasting 12.5 million followers on Instagram. Vans’s communication preference center enables subscribers to customize their digital experience. The brand can continue to climb the ranks of the Index by focusing on email execution and personalization, going beyond attribute-based recommendations and further personalizing triggers. 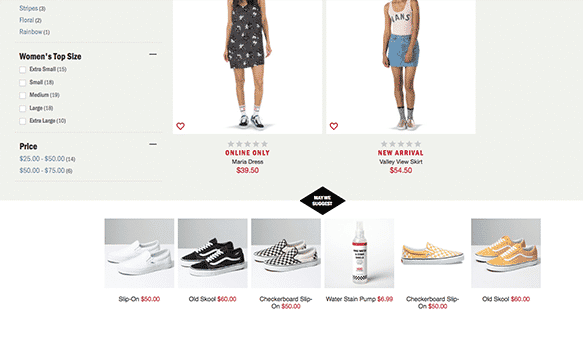 The Vans Family rewards program is well-integrated across channels, featuring a strong communications preference manager and an app for shoppers to view their reward points, which can be applied to purchases online or in-store. Vans has a lively community-approach to social media. 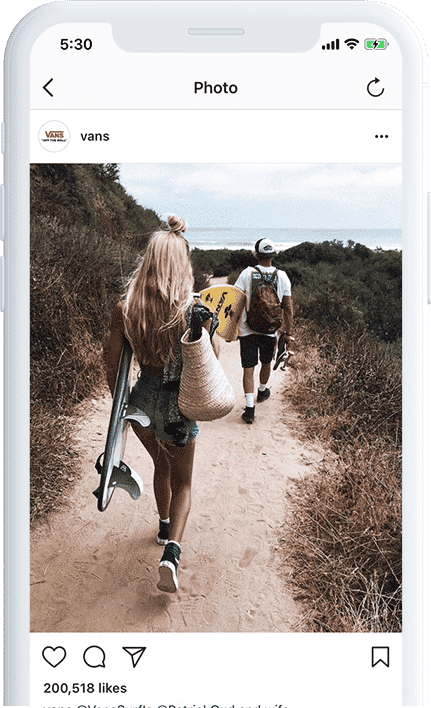 With more than 12.5 million followers on Instagram, their products stand out against a landscape of beaches, BMX and skate parks, and smartly call out Vans products without appearing sales-centric. The brand uses this content across its digital properties to integrate the social nature of the brand into product sales onsite. When it comes to sneaker lovers, one pair is never enough. Vans makes sure to feature relevant recommendations both onsite and in email to in enhance the shopping experience. Their site and email recommendations contain relevant attribute-based recommendations, catered to previously browsed styles, a customer’s purchase history and other items to accompany your purchase such as stain remover should your pair need to brave the elements.